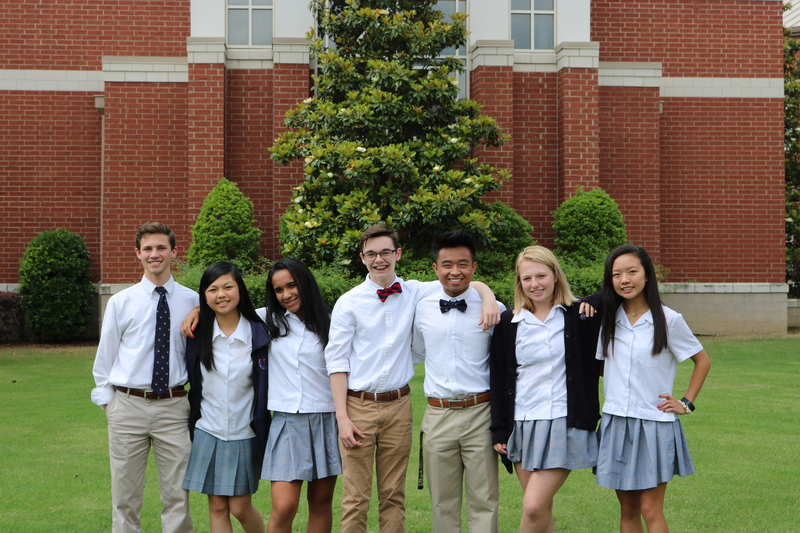 Along with SBA’s many other sports facilities, a 1400-seat state-of-the-art gymnasium serves over half of the students who are members of SBA’s championship sports teams. The gym houses supporting spaces including wellness classroom, multi-purpose room (used for dance and wrestling as well as meetings and receptions), weight room and locker rooms A member of the Tennessee Secondary School Athletic Association, SBA provides a diverse and well-rounded sports program with over 20 athletic venues for students to choose. Outdoor facilities are lighted and offer regulation competition for track and field, tennis, football, baseball, softball, soccer and lacrosse. Weight training facilities are housed in the school in the gym complex and at the football field house for weight training programs for all athletes and classes as part of the Wellness Department. The tennis courts, like the track/soccer complex, football stadium, baseball and softball fields, are fully lighted for night play. Four courts provide individual and team competition. The multipurpose room adjacent to the gym provides dance classes, dance team practice and wrestling practice facilities. When not in use for dance and athletics, the room’s mats can be removed for meetings and hospitality purposes. Tully field is home to the Eagles football teams with weight room, locker rooms, press box and storage facilities combined in the Field House and Tower. Tully Field also hosts both boys and girls Lacrosse in the spring. SBA’s baseball facilities rival any other venues in its pristine grass infield and outfield and state-of-the-art jumbo scoreboard and field house. The field is lighted for nighttime games. The baseball facilities also now include a new baseball field house housing a press box, VIP guest reception area, coaches' offices, players' locker room facilities, showers, and guest restroom facilities. St. Benedict’s lighted softball dugouts, stands and field are some of the best around the Memphis area. It is home to the Lady Eagles teams who have advanced to the State playoffs for over 15 years. An indoor hitting facility was added during the 13-14 season. Locker room facilities are available in the adjacent Tully Field House during the spring as well as concession and restroom facilities. The Soccer field is adjacent to the main school building and is surrounded by the Track & Field venue. Both girls and boys soccer calls this field home and offers new bench and storage areas to help keep players and equipment sheltered during inclement weather. The track that surrounds the soccer field provides, not only the track team, but all sports the opportunity for conditioning and recreation. Track & Field teams host meets that include running and all field events. The field and track are well-lit for nighttime events.